As part of the user experience team at Mastercard, I frequently perform user research. 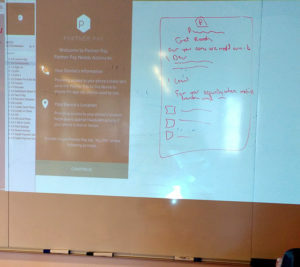 Many of the products that we concept/usability test tend to be part of a bank website or bank mobile app. 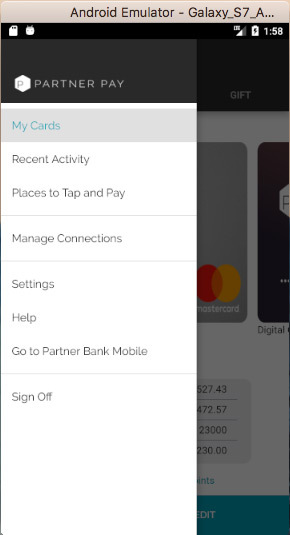 We created a fake bank brand, called Partner Bank, that we would sometimes use in our prototypes for testing. We use the Partner Bank brand because consumers have opinions and emotions regarding real bank brands (such as Citibank or Chase) that can bias the test results. 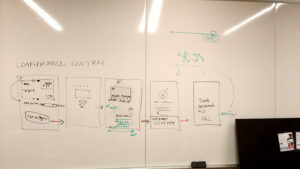 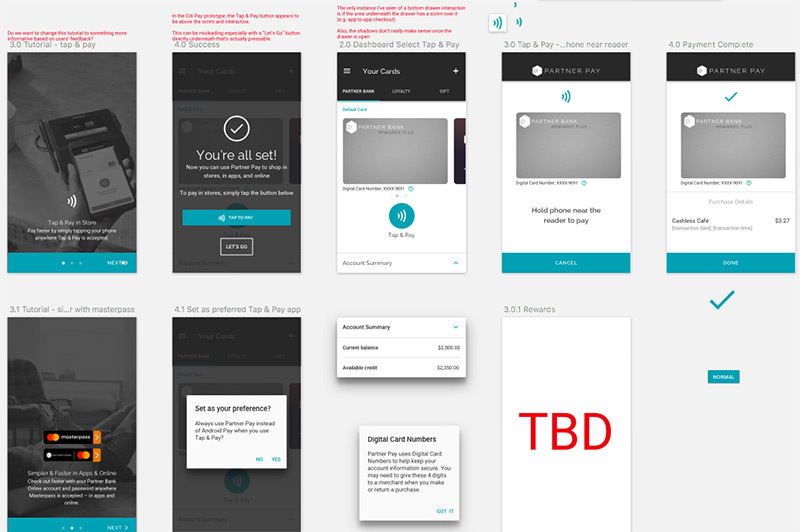 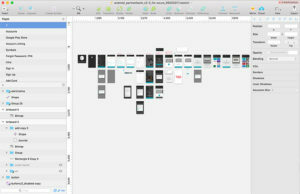 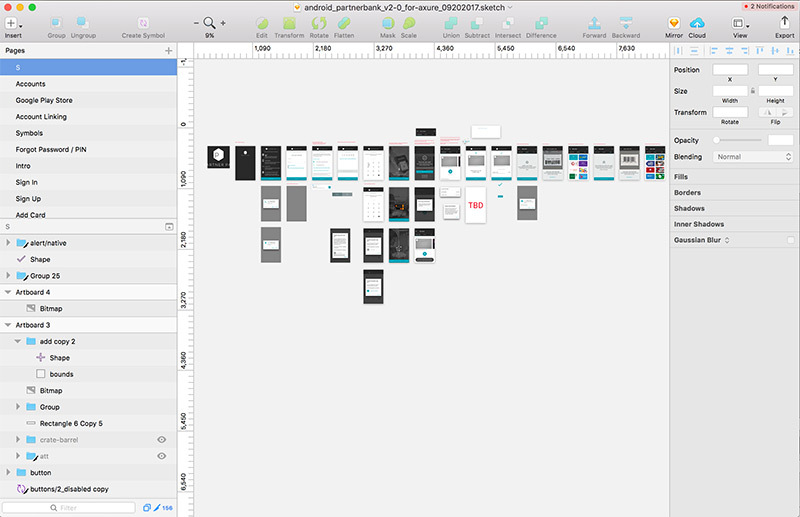 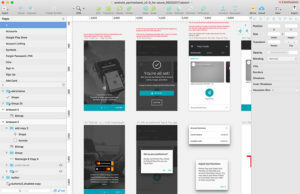 I then took our visual design in Sketch and used Android Studio and the Java programming language to build the Partner Pay high-fidelity prototype. 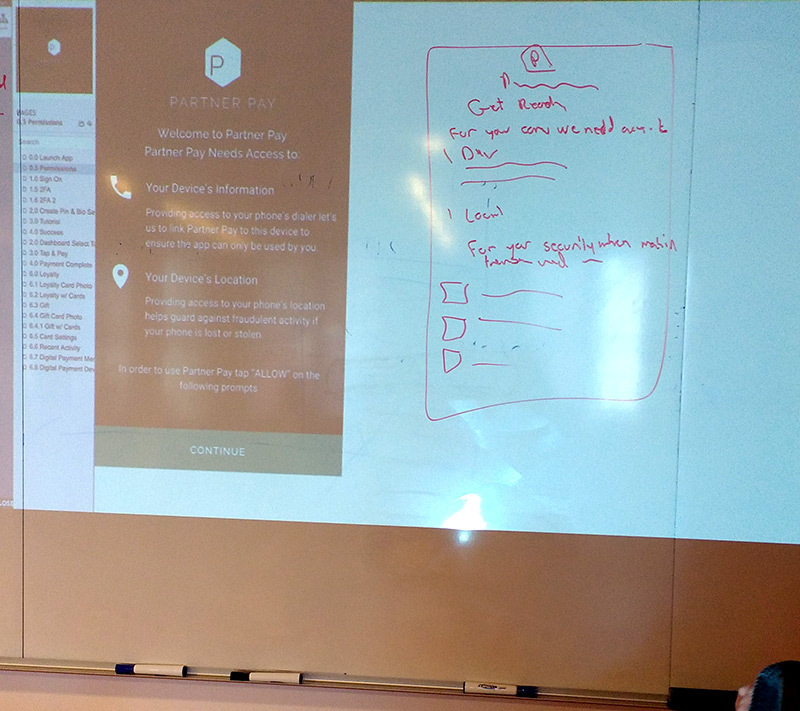 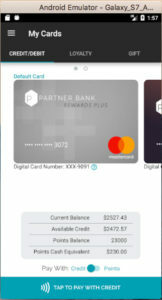 The Partner Pay high-fidelity prototype is an actual native Android application that runs on Android phones and tablets. I built the prototype as a native Android application because for our user testing, we needed to simulate biometric authentication and a contactless payment which is only possible with a native Android app. 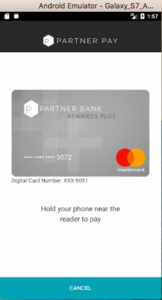 The Partner Pay prototype uses an Android phone’s NFC hardware to actually detect and communicate with NFC enabled payment terminals. 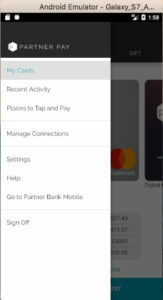 It also uses an Android phone’s biometric fingerprint reader to authenticate users.